When a civilisation disappears and the worlds it was based on collapse in on themselves, a desperate mage make one last attempt to find the city. 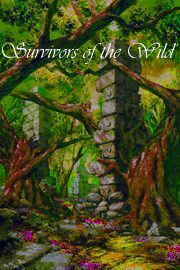 When a mysterious game appears in the games library of every VR capsule overnight, people begin to explore the world of ‘Saviours of the Wild’. The tale of two joined worlds unaware of each other, despite seeing each other, begins.